← Dallas Symphony performance of Bruckner’s 8th Symphony is breathtaking! This entry was posted in Classical Music, Life Events, Vinyl and tagged Amsterdam, Benjament Britten, Bernard Haitink, Bruno Walter, Concertgebouw Orchestra, Das Lied von der Erde, Gustav Mahler, James King, Janet Baker. Bookmark the permalink. Just finished an interesting book, Why Mahler? by Norman Lebrecht, a birthday gift from Larry. A very entertaining read, although he makes some pretty tenuous connections between Mahler’s music and modern issues, like environmentalism. I haven’t listened to Das Lied in many years, and I really need to revisit this work-just ordered the Reiner/Chicago Symphony recording with Maureen Forrester and Richard Lewis. The 9th has gotten under my skin big time the last couple of years, and I love the 10th, too. Are you familiar with the Benjamin Zander Mahler recordings on Telarc? The 3rd, 4th, 5th, 6th and 9th come with bonus discs of Zander talking about the music, complete with excerpts from the recordings as well as him illustrating on the piano (he occasionally uses excerpts from related works from other composers, too), and his enthusiasm and love for Mahler’s music is infectious. They are all outstanding performances, in typically great Telarc sound-highly recommended. Yes, I still foller Mahler 🙂 Now more than ever! The older I get, the more intellectual and spiritual nourishment I get from his works. I have that book “Why Mahler?” on my table to read next. Currently I am reading “The Rest is Noise – Listening to the 20th Century” by Alex Ross. I am almost done with it, so I will be reading the Mahler book soon. The Reiner “Das Lied” is a classic. 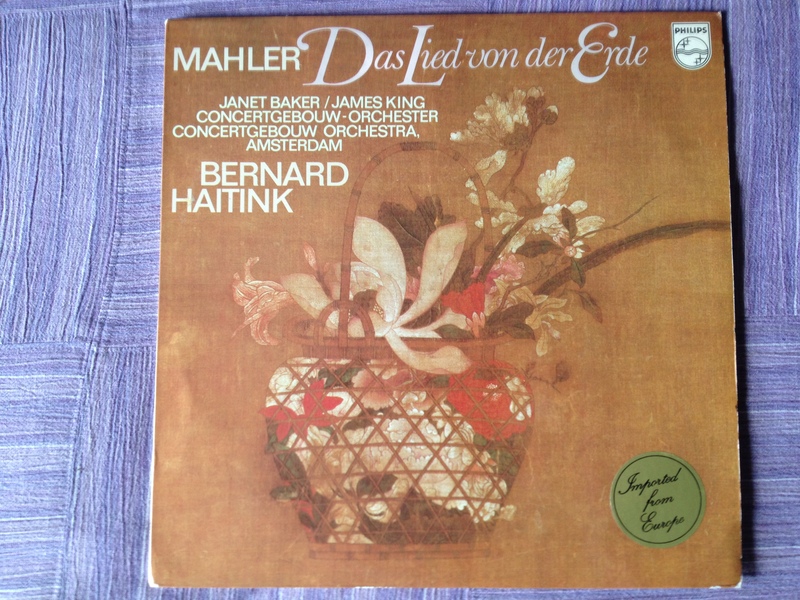 I remember when Zander did those Mahler recordings but I have never heard them. I bet they sound great. I’m probably going to do the “Touch” blog soon. Thanks again for sharing such interesting music. I’m also working on a blog about “Canned Heat” and one on “Captain Beefheart and his magic band”. I think the Captain beefheart could be the most compeling becasue I can ask one of the major questions about music for discussion: Is music for the masses or is music for the musician? I wish I had more time to blog. I have way more ideas than I have time. Thanks for your friendship and support! By the way, I wish I still had that t-shirt “I foller Mahler”! I’d love to wear that around town… I too get more and more nourishment from Mahler. I just thought I understood him when I was young. I think my perspective is much better these days!